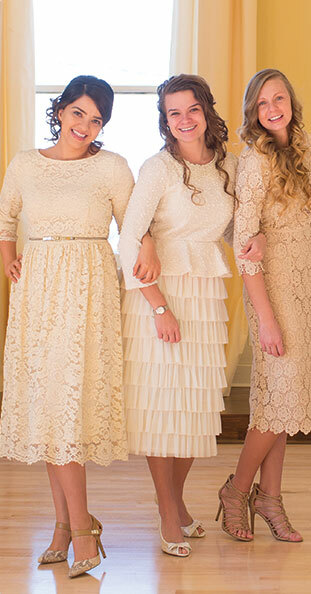 This Classic dress is a throwback to the Original Dainty Jewell's dresses! Thick gathered ruffles accent the neckline and sleeves in an oh-so-elegant fashion while the bold stripes are modern and fresh. Back zipper closure. Model wears a size small in Dainty Jewell's. I was amazed at how beautiful this dress was when I unwrapped it! The material is so sleek and elegant, the ruffles are a wonderful accent and it fits perfect. This dress is top of the line elegance!